Shelly Boettcher, a media guest of Tourism Kelowna’s in 2017 who inquires regularly about Kelowna content, continues to profile Kelowna offerings. In March, she shared new(er) wine experiences and gave a nod to Ricco Bambino, Kitsch Wines, and Fitzpatrick Family Vineyards in the Edmonton Journal (and 18 additional affiliates). 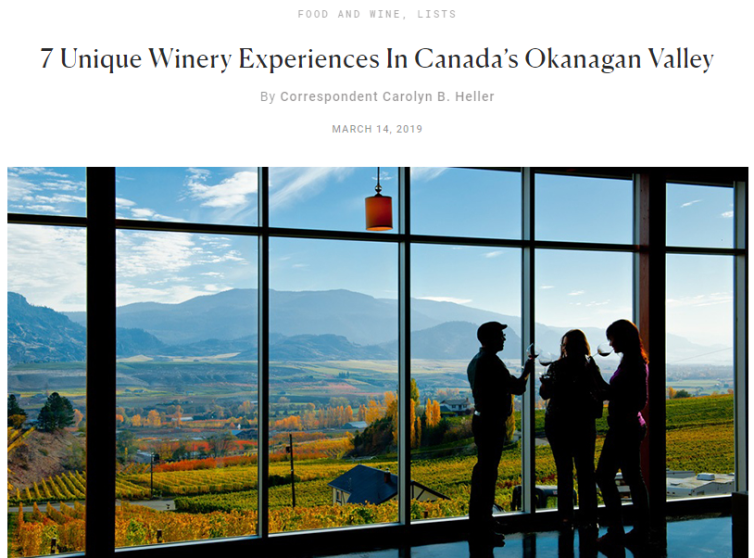 Carolyn Heller, a guest of Tourism Kelowna’s in September 2018, profiled seven unique Okanagan winery experiences for Forbes Travel Guide, including Mission Hill Family Estate and 50th Parallel Estate Winery. Andrew Penner penned a look at Okanagan winter for families, giving profile to Big White Ski Resort and SilverStar Mountain Resort in The Province (and 20 affiliates). Local resident, designer, and influencer. Jillian Harris, compiled a list of Okanagan favourites to her popular blog, boosting the content through her social media channels, each of which has a strong following. Victoria Riccardi, a guest of Tourism Kelowna&apos;s this past summer, featured Kelowna for Destination I Do’s spring print edition, positioning Kelowna and the Okanagan Valley as an alternate for the often-considered Napa and Sonoma. Shout outs were given to the Kettle Valley Railway at Myra Canyon and Great Okanagan Beer Festival in compilation coverage from Northwest Travel & Life and Matador Network. 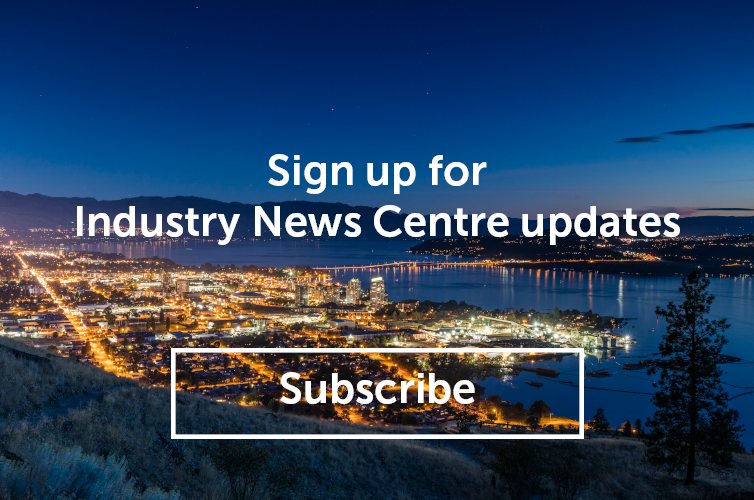 Help us share your story and create great Kelowna content. Share what&apos;s new and noteworthy for your business with Jennifer Widmer, Travel Media & Communication, at jennifer.widmer@tourismkelowna.com.